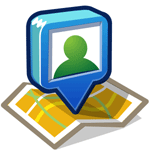 Google Maps reviews going missing is nothing new to Google Maps, we've covered it too many times and we even have a Google Maps Reviews Help Guide but the reviews keep going away and coming back. The lastest case was from this week, where this is a large Google Maps Help thread with complaints from business owners that their reviews are missing. Google's community manager for Google+ Local wrote that the Google Maps team is looking into it. She said, " popping in to say that we're investigating. Thanks for the reports." Michael Blumenthal, a Google Maps top contributor, wrote his theory that this is a new reviews filter that may have gone bad? Google has likely implemented a new (or minimally upgraded) their review filter. It seems to trap many more good reviews than in the past. Usually these types of filters are "trainable". Google is interested in improving the filter by training it with examples of good reviews that have been caught so that it is less likely to do so in the future. Also they have still not fixed the problems that they have with "losing" reviews. That always adds a bit of excitement to this mix. I have been taking as many cases as I can process to them as I think it is total crap that so many reviews are being tagged. And I have been asking them to review them. The problem I have is I can't tell whether a review in fact spam (the only thing I like less than Google's approach are bs reviews) and what might be triggering the filter as much of its functioning is a state secret. As Jim pointed out it is likely that over time things will settle down and good reviews will be tagged less. If you haven't figured it out by now though the algo will be never 100% perfect and there is always some % of cases that it will handle poorly.